Climate Common Sense: Do you believe in magic … climate numbers? 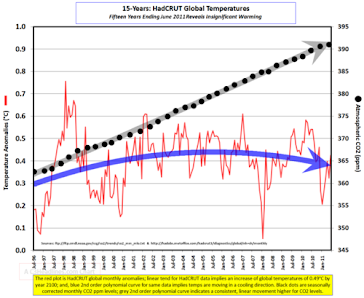 Author Paul Driessen takes issue with the fundamental temperature data underpinning the global warming scam with a fine article analysing the global warming phenomenon. Average annual global temperatures have risen a degree or two since the Little Ice Age ended some 150 years ago. Thank goodness. The LIA was not a particularly pleasant time. Prolonged winters, advancing glaciers, colder summers, more frequent storms and extended cloudiness reduced arable land, shortened growing seasons, rotted grain in wet fields, and brought famine, disease and death. Coming after the prosperous Medieval Warm Period – when farmers grew wine grapes in England and Vikings raised crops and cattle in Greenland – it must have been quite a shock. How much credence can we give any claim that average global temperatures have risen or fallen X degrees over a certain period, or that this year or decade is "the warmest ever," or "since record-keeping began" – especially when the alleged difference is measured in tenths or hundredths of a degree? The answer: Not much. The truth is, we cannot trust the hype and numbers that routinely come out of the IPCC, NOAA, NASA, CRU, White House and other branches of the climate crisis industry. However, none of this sobering reality deters climate chaos alarmists, who consistently show a penchant for distributing dire news releases on the eve of important global warming votes and conferences. 2000-2010 was "the hottest decade ever," and 2010 "is shaping up to be the hottest year on record," NASA and NOAA breathlessly announced … on July 28, prior to hoped-for Senate votes and the Cancun summit. "World temperatures in 2010 may be the warmest on record. 2010 will be one of the two warmest years, going back to 1850," Britain's Meteorology Office intoned … in late November. "This year will be the third warmest year on record, since 1850," the World Meteorological Organization declaimed … on December 3. Other organizations issued similar headline-grabbing alarums. But before you say kaddish or "requiescat in pace" for Mother Earth, keep the previous caveats in mind and note a few other realities. 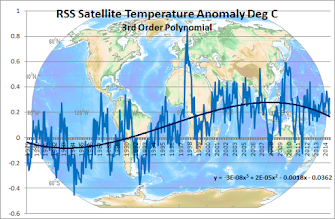 One, only a few hundredths of a degree separate the 2010 decade from the similarly very warm 1930s – and NASA and other researchers refuse to release their raw temperature data and analytical methods, so that independent researchers can examine their calculations and claims. The climate and record books are not cooperating with that assumption or the hype, headlines and summit on Climate Armageddon. South Florida just had its coldest night in 169 years, Wales its coldest since recordkeeping began; and in the middle of its global warming gabfest, Cancun set four record low temperatures in a row. Other local cold records are falling all over the Northern Hemisphere, hot on the heels of record cold and snow during the 2009-2010 winter in both hemispheres. But then "climate policy has almost nothing to do anymore with environmental protection," IPCC Working Group III co-chair Ottmar Edenhofer reminded us recently. In fact, "the world climate summit in Cancun is actually an economy summit, during which the distribution of the world's resources will be negotiated." [emphasis added] Keep that in mind, too, next time someone says we have a climate crisis. Magic is delightful when it's Criss Angel or Harry Potter. Magic temperature numbers – pulled out of hats, computers and fertile imaginations – are a lousy, fraudulent, redistributionist way to set public policy.